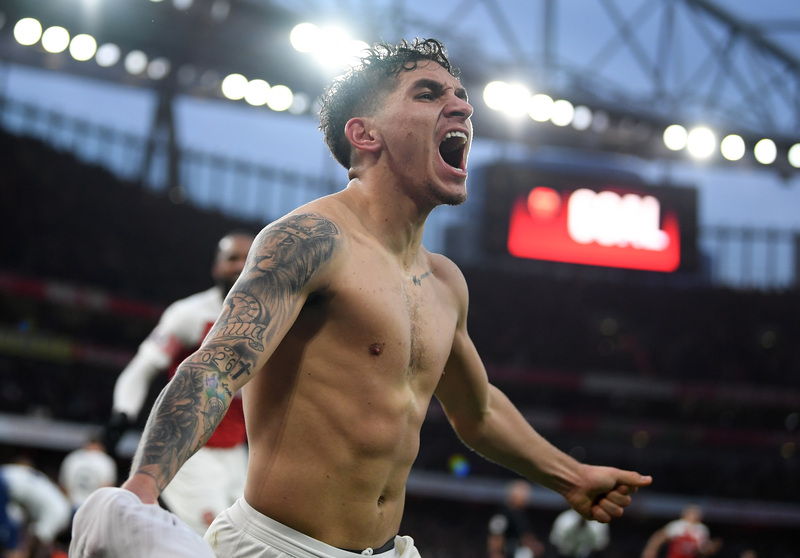 Premier League Midweek: Can Arsenal’s rejuvenation move up another gear and, after Klopp’s derby celebrations, how much passion is too much? IT’S part two of the midweek round of league fixtures and there is a humdinger at Old Trafford as Manchester United take on Arsenal. That is the highlight of this extra edition of PREMIER LEAGUE WEEKLY. Can Arsenal’s rejuvenation move up another gear? FOR the second half of Arsene Wenger’s reign at Arsenal, trips to Old Trafford were indicative of how far his team had fallen off the pace, most notably in that 8-2 humiliation in August 2011. They collected three points from those last 11 visits as Arsenal demonstrated they were too meek to be a serious contender even when United were suffering from problems of their own. Remember that Marc Overmars goal in 1998 that changed the outcome of the title race or the one from Sylvain Wiltord that secured the double four years later. 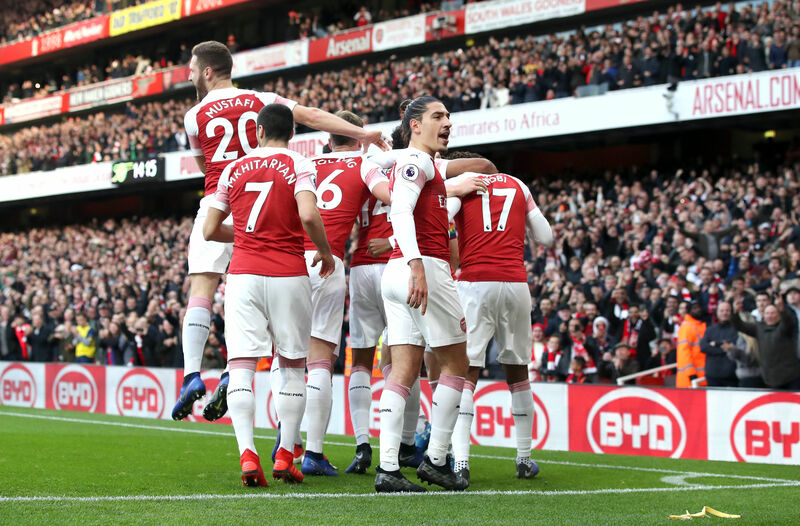 Those are stand-out moments in the Gunners’ long and illustrious history and they underline just how significant it is to perform well at Old Trafford against their biggest rivals in the north. Obviously whatever happens tonight cannot match those events. It is too early in the season for that, but they should step out confident of leaving a marker. Arsenal are now unbeaten in 19 matches in all competitions under Unai Emery and are growing as a team. 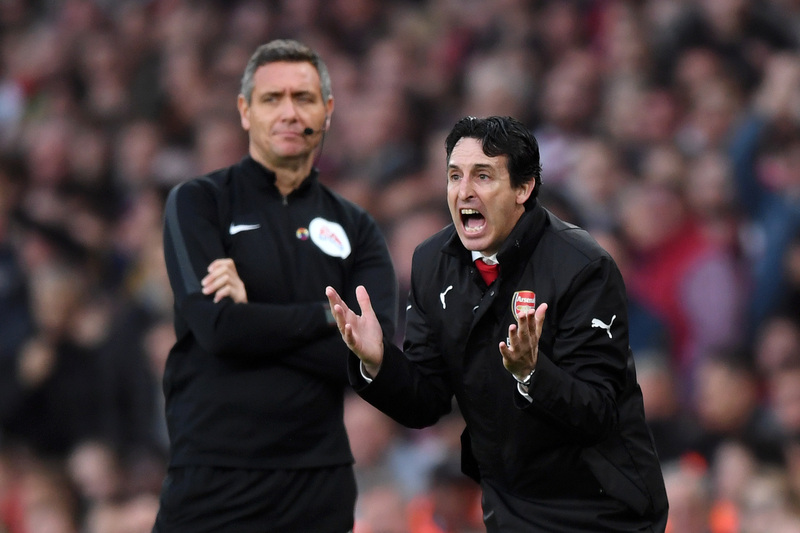 After losing those first two games of the season to Manchester City and Chelsea, Emery’s won a series of close games, often with a degree of luck. But those results have given him a bit of time to implement his ideas and win the trust of his players and so the run has continued. The high point of that was definitely Sunday’s 4-2 victory over Tottenham in the North London derby. The Gunners produced an electric second half display to come from 2-1 down to win 4-2 and it left the Emirates positively rocking. The feeling around the stadium and the club is that the identity is returning. The faults of the latter years under Wenger are being rectified and new stars are emerging. Lucas Torreira is a little bull in midfield, while Pierre-Emerick Aubameyang leads the Premier League goalscoring charts. It is far too early to talk of them as title contenders but they are definitely in the mix for the top four, but more importantly, they are no longer a laughing stock for division in the stands and perennial weaknesses on the field. It’s Emery versus Jose Mourinho in the dugout, but this is the first meeting between United and Arsenal without either of Sir Alex Ferguson or Wenger since August 1986 when George Graham, in his first match as Gunners manager, defeated Ron Atkinson’s Manchester United 1-0 at Highbury. How times have changed. But it is a fixture that has always carried big significance and it is why if Emery can post another marker of Arsenal’s new identity, then their renaissance can continue to flourish. What is the right amount of passion from a manager? 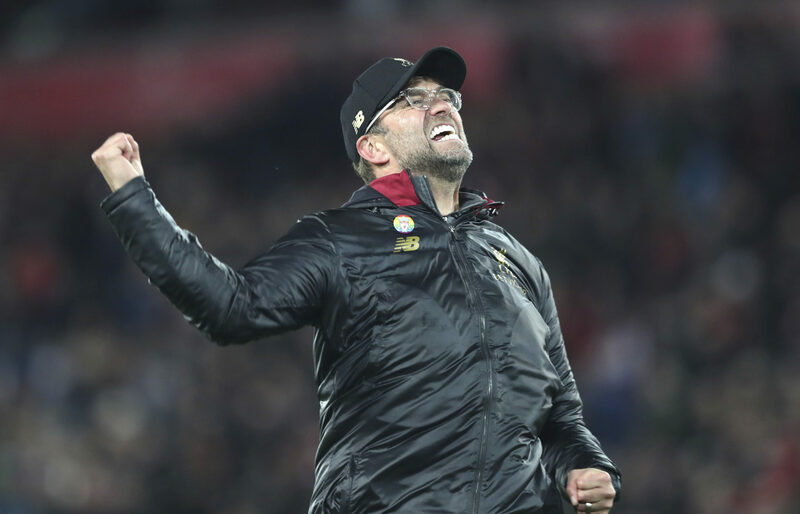 Do you want Jose Mourinho slamming a crate of drinks to the floor in frustration on the touchline or Jurgen Klopp sprinting on to the field to celebrate with his goalkeeper? Both these events came about after injury-time winning goals and underline the emotion that the game of football shows. From my perspective, somewhere in the middle would be just fine, thanks. I love football and the excitement it generates. But it’s all about perspective. Divock Origi’s winner for Liverpool came in a local derby and we all know feelings are greater around those matches. But it came in the 14th game of the season at the start of December. It did not decide a cup final or the destiny of the league. For huge outpourings of emotion, you want it to be a significant moment. Sure, Klopp wanted to congratulate Alisson for his quick-thinking that led to Origi’s goal, but he could have done that from the touchline or seconds later when the game finished. Marouane Fellaini to the rescue again!!!! In this summer’s World Cup, Belgium scored a winner with the last kick of the match to beat Japan in the last-16 in one of the most dramatic and exciting finishes I have ever witnessed. Belgium manager Roberto Martinez could have sprinted onto the field to congratulate Thibaut Courtois for starting the move that led to Nacer Chadli’s goal at the other end, but he didn’t. He gestured to him from the sidelines with a beaming smile. But it was clear for all to see that Martinez was thrilled. Klopp has apologised for his actions against Everton and has accepted the FA charge. We don’t want him to change too much because that is his personality, and it helps to inspire his players and their supporters. But there is a fine line between showing your passion and antagonising your opponents and in football, if you rub someone up the wrong way, it can come back to bite you later down the line. Burnley have not won for seven matches, Liverpool have not lost all season. There is only one way this is going and the Reds won’t have to dig as deep as they did in the Merseyside derby on Sunday. CLOSE but no cigar for Everton at Anfield, but these are the type of fixtures they are very good at winning. The 3-0 defeat to West Ham ended the three-match winning run with a bump for Newcastle, and it could be hard going here. 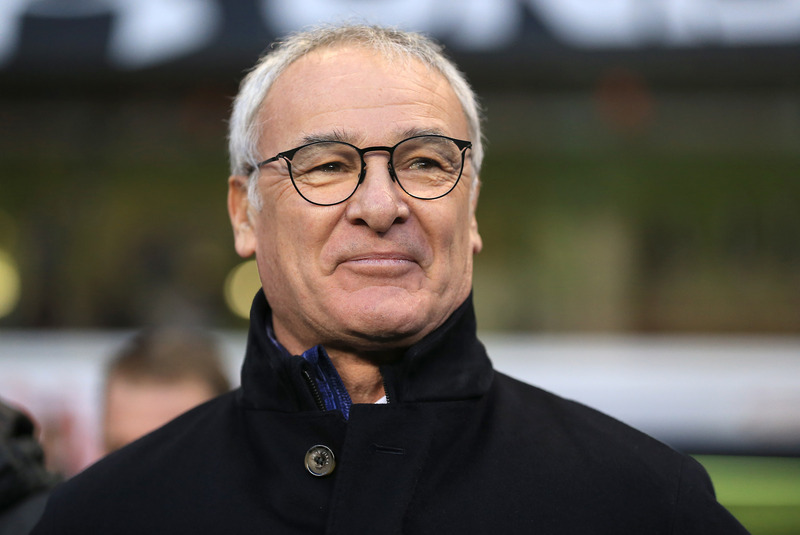 CLAUDIO RANIERI faces his old club for the first time since leaving them in February last year. He has improved Fulham already but a few of his Champions remain at Leicester and that could prove the difference in a close contest. WOLVES have hit a rocky spell with only one point from their last six games. Yet that came against Arsenal. They have generally played well against all the top teams and that might be enough to earn a share of the spoils with Maurizio Sarri’s side. A huge midweek game. Manchester United need to rouse themselves from their poor displays, but Arsenal are full of confidence and playing more like a team. That could help them to end their run of bad trips to Old Trafford. THIS should be the ideal fixture for Spurs to recover from their defeat in the North London derby. Kelvin Davis is manning the fort after the sacking of Mark Hughes and before Ralph Hassenhuttl takes charge, but it is asking an awful lot for him to get a good result here.